Joanna Sanchez loves teaching kids. Her program is fun, personalized, and memorable for parents and child alike. 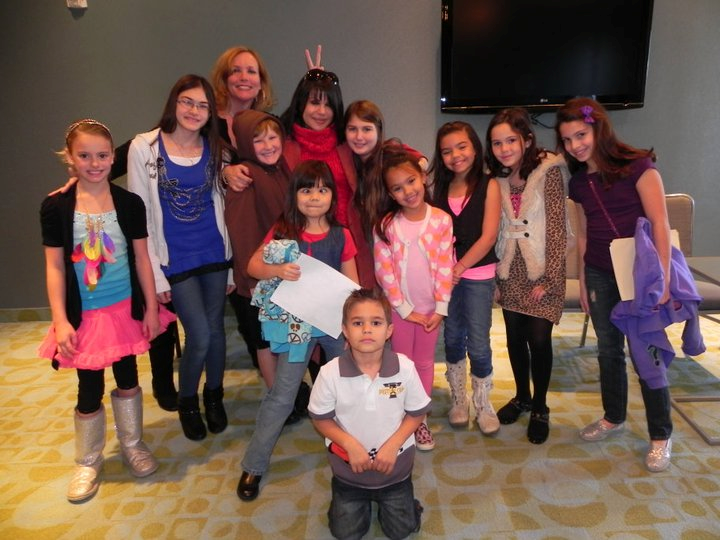 Joanna has amazing experience and travels from Hollywood to teach her students in Texas. Visit her IMDB and career in TV: Joanna Sanchez she most recently guest stars on “The League” which airs on FXX. Joanna has played opposite Mel Gibson, Robert Redford, Michelle Pfieffer, Danny Devito, Erik Estrada, and many more. Acting is not just for film and TV, it is for life. Your child will learn to be confident, articulate their thoughts clearly, think on their feet, be poised in conversation, and demonstrate dynamic social skills. Joanna provides a learning environment that benefits your star for life! Please review a few of the kid’s testimonial videos. Rates are $150 per hour for a private session (parents invited) and $150 for a group session (2-hours) with more than one student.